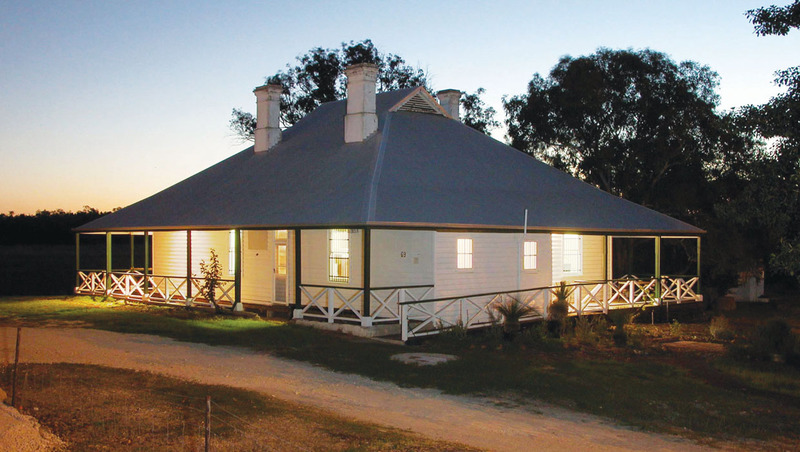 The SERCUL office is located at the historic Yule Brook Homestead, Beckenham. 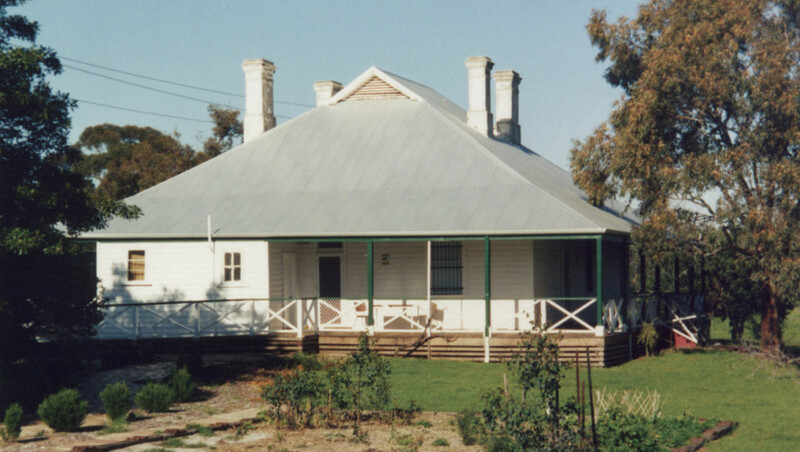 The homestead overlooks a small ephemeral lake and is in an area rich with Noongar and European history. Nestled between the banks of the Canning River and Yule Brook, it is a fantastic place from which to base a natural resource management body. Our doors are open to local community groups and individuals working in the environment who require support. Click here to read about our restoration of the catchment and wetland systems surrounding the office (Beckenham Open Space). The land Yule Brook Homestead is situated on (Location 8) was granted to three British Army Officers, Mr Thomas Yule, Mr Ninian Lowis and Mr Richmond Houghton, in June 1830. They named the land ‘The Rapids’ which referred to the rocky river crossing at the end of Horley Rd (previously Harris Street, Whites Road and firstly Government Road) on the Canning River. It wasn’t until September 1830 that they began preparing the land for cultivation. 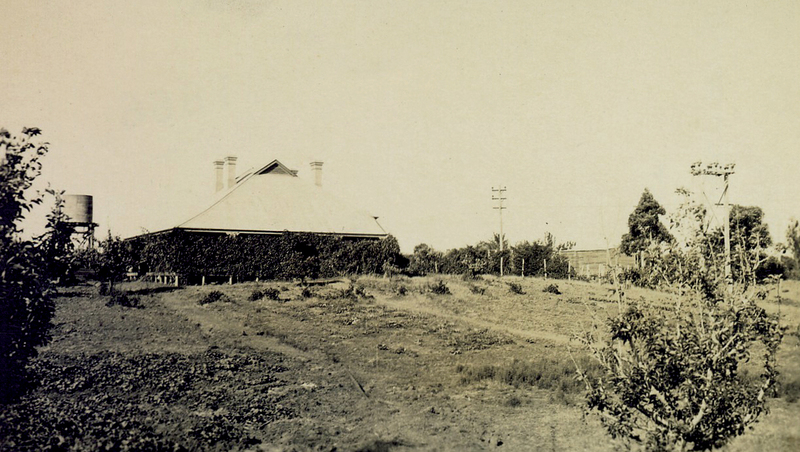 By August 1831, they had sown their first wheat crop in the flood plain area of the Canning River. A ferry service was operating up the Canning River, terminating at ‘The Rapids’. This service was discontinued by 1835. However, ‘The Rapids’ was in use as a functional crossing for many subsequent years. 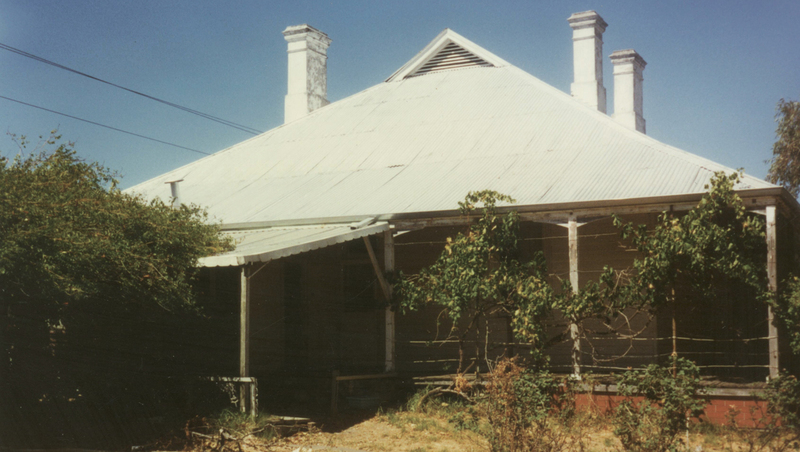 The Homestead is a single storey weatherboard, lathe and plaster and iron-roofed home designed in the Victorian Regency style of architecture. This is an uncommon example of this style and a rare example expressed using timber framing and weatherboard cladding. 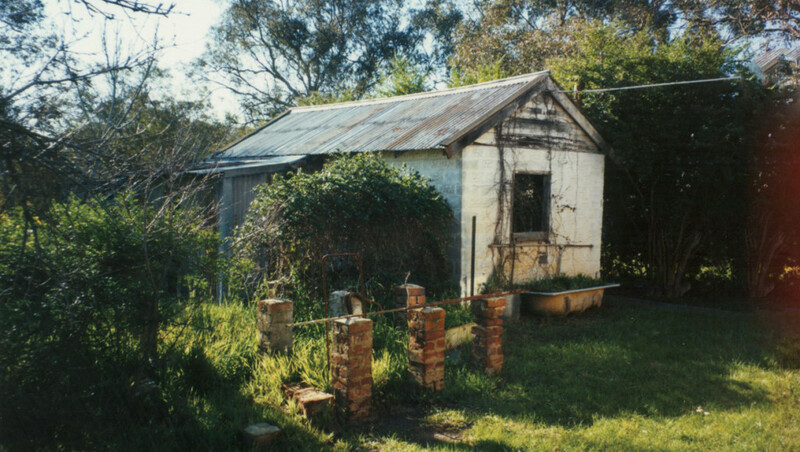 Whilst there is no documented evidence that points to a construction date for the Yule Brook Homestead at 1 Horley Road, it is thought that John White built the house following his second marriage in 1881. Title documents indicate that John took out a mortgage of 850 pounds around this time. This large sum could indicate the money required to erect the house. In 1974, the property was sold to John William Lance and wife, Gladys. Their son still runs a business locally – Lance Auto Electrics. Mr and Mrs Lance sold the property to the Main Roads Department in 1993 when the construction of the Kenwick Link was being debated. 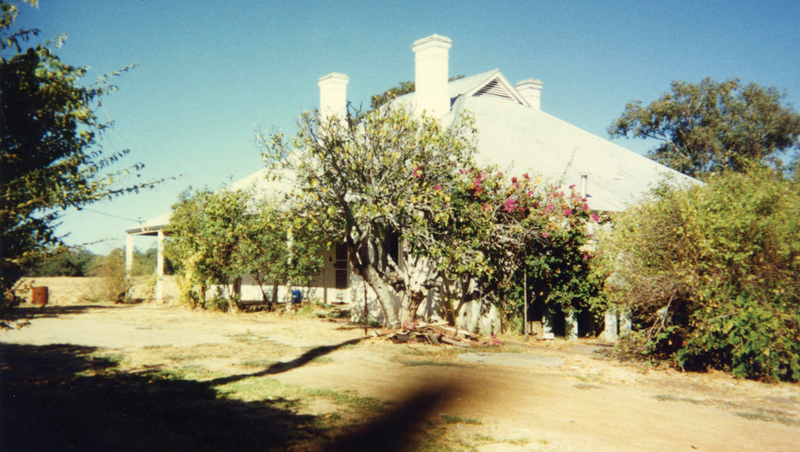 In 1998, the property was transferred to the Western Australian Planning Commission. 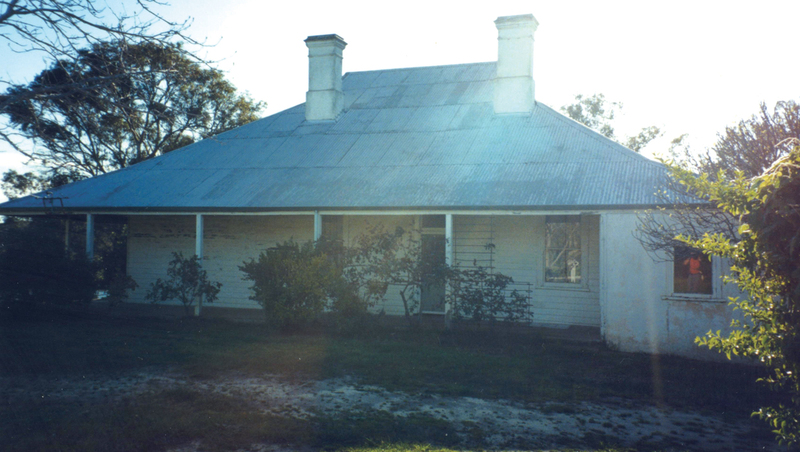 The Homestead was rented out to tenants until 2000. Without care and attention the Homestead fell victim to serious deterioration and when local residents, Pam and Ken Curtis heard about the impending demolition of the Homestead they rallied their neighbours to save it. 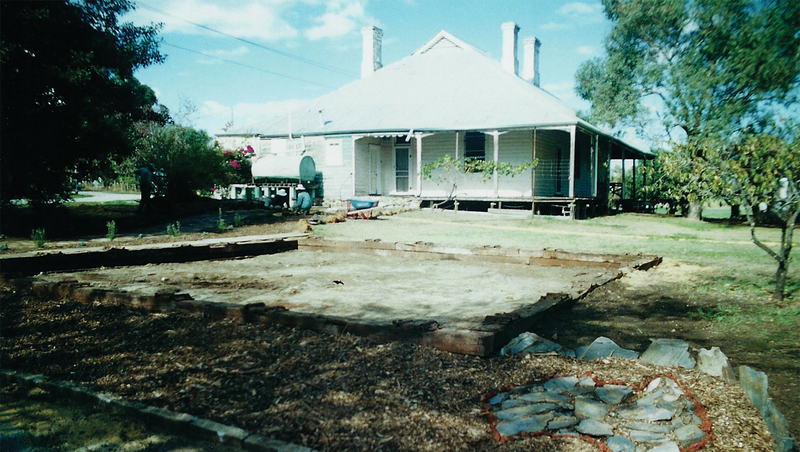 The Curtis family saved the Homestead and the Western Australian Planning Commission (WAPC) commenced restoration of the Homestead in 2002. A Green Corps Team was employed with a WAPC supervisor to replace the very weathered verandah boards. The roof supports and main frame were replaced by a contractor for the WAPC. 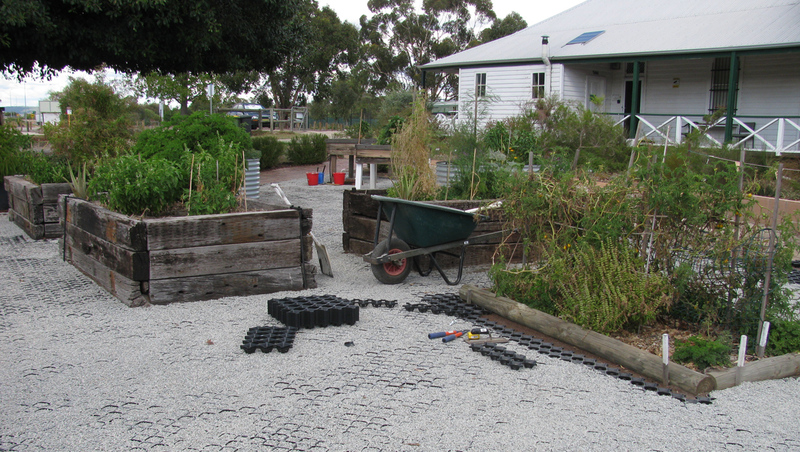 The Green Corps Team also built the boardwalk across the Yule Brook Wetland and worked in the vegie garden. A local landcare group, the South East Regional Centre for Urban Landcare (SERCUL), became interested in using the building in 2002. They worked with their volunteers and WAPC contractors to restore the internal infrastructure as the Homestead had deteriorated and become uninhabitable. SERCUL moved into the Homestead on 1st July, 2003 with a peppercorn lease arrangement from the WAPC. Since 2003, the Homestead has been restumped, the concrete verandah on the Horley Road side of the Homestead was replaced with wood, the permaculture garden area has been developed and a windmill installed, paved areas and footpaths were constructed around the Homestead, the shed compound and carpark were developed, a boardwalk was constructed over the Homestead Wetland and an information shelter built. The surrounding land has undergone restoration for conservation and recreational purposes by SERCUL and WAPC since 2003. The open cultivated land is being restored into bushland and wetlands with flourishing ecosystems supporting many native animals that are returning to the area. There are a number of different gardens that surround the Homestead. 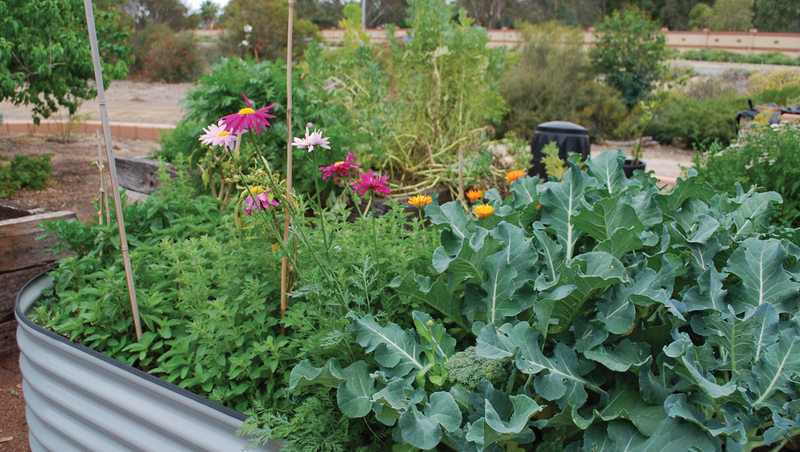 On the side of the Homestead closest to the carpark is a Bush Tucker garden. Look out for the plaques identifying each plant. The other gardens directly surrounding the Homestead contain local native plants. Can you find the Macadamia and Carob trees? These trees were planted by past residents of the Homestead and can be found between the Homestead and the Homestead Wetland. 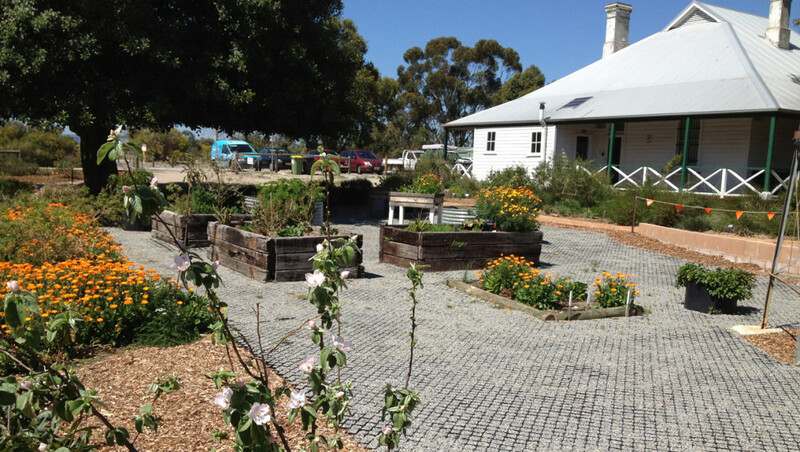 The large area between the Homestead and the Kenwick Link is where you will find the permaculture garden. 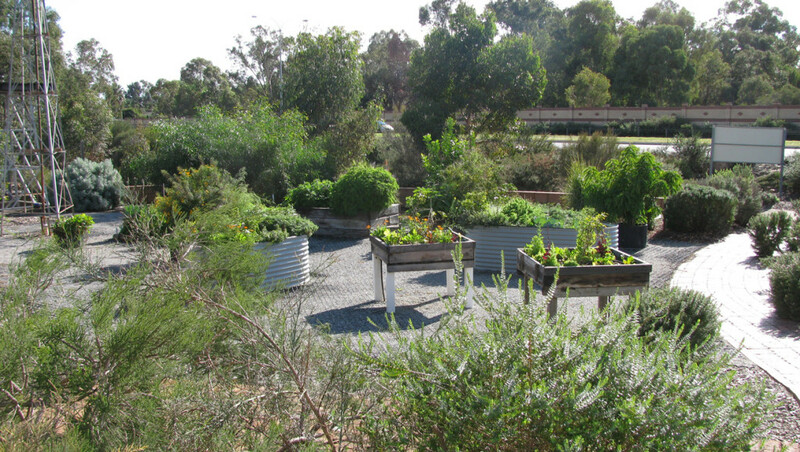 This garden is tended to by volunteers who plant and maintain the many vegetables, herbs, companion plants and fruit trees that are grown in this area. Have you ever wanted to grow a local native lawn? Microlaena stipoides (Weeping Grass) is a native grass that is being grown as an alternative to traditional lawn species and can be found next to the permaculture garden.